On Saturday the Mister and I celebrated six years of marriage. We wanted to take a trip somewhere but Doug is currently heading up a big project and didn't think it was a good time to ask for vacation. 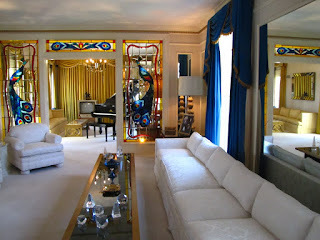 So instead we decided to do something neither one of us has ever done - go to Graceland. 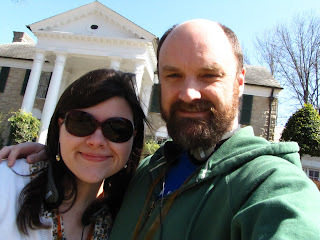 I have lived in Memphis for 9 years, before that I lived my entire life 45 minutes from Memphis, Doug is also a life-long Memphian, yet we had never managed to go see the King's house. 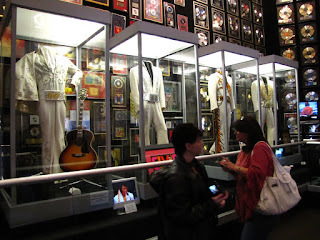 Plus going to Graceland was on my list of things to do in 2010. We began the day with breakfast at Blue Plate in East Memphis, we've been having breakfast there since we started dating. 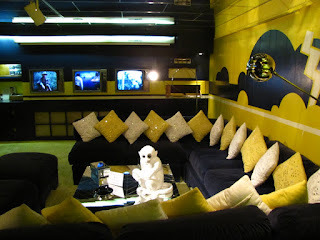 After breakfast we headed to Graceland. It wasn't too crowded for a Saturday morning. There's a shuttle that drives you from the ticket/shops/restaurant complex to the mansion across the road. 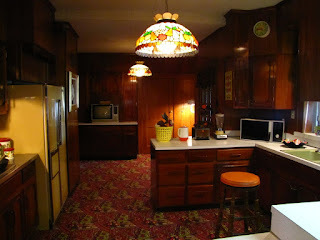 The house is actually pretty small, at least the part they let you see and everything's original too. The photo highligts are below, all the rest of the pictures on my Flickr account. 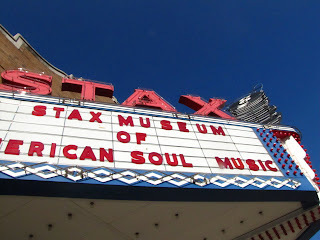 After the Graceland visit we had lunch downtown at the Majestic Grille and then went to Stax, where we got married all those years ago (well not *that* many years ago). We hadn't been back since we got married so it was very sweet to visit again. After our foray into local tourism we had dinner at Woodlands Indian restaurant (which had some amazing Chicken Madras). It was a really nice little way to spend our anniversary. 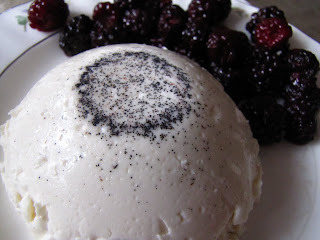 Panna cotta - also known as one of the easiest desserts you'll ever make. I really didn't *need* to make any more desserts last weekend but after stumbling upon David Lebovitz's post from last April, I had to make them. It's ridiculously easy, heavy cream, sugar, vanilla bean, water, powdered gelatin - that's it. It's takes mere minutes to put together and then you stick the cups in the fridge for two hours to let them set and then they're ready to serve. Mine didn't unmold as nicely as I would have liked them to, but they were delicious so who cares? 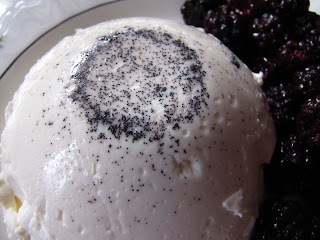 I served them with frozen blackberries but the possibilities are really endless as to what you could flavor the panna cotta with or serve along side it. Delicious! Based on some on the comments I read on the TWD site it seemed like at first some bakers were a little skeptical about these cookies. However, after making them almost everyone had a positive comment. I wasn't skeptical, I was actually excited to be making something sans chocolate. 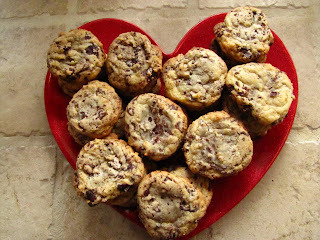 Every other February recipe this month was chocolate-based and I was kind of tired of chopping chocolate. 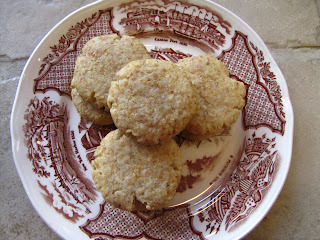 These little cookies were almost healthy, only one stick of butter, plus wheat germ, honey and lemon zest. I had no problems putting the dough together, though it did crack a lot while I was rolling the balls out and flattening them. 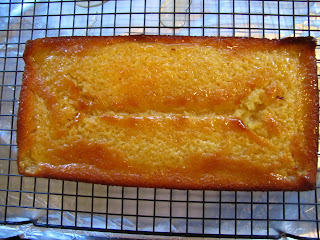 I used Meyer lemon zest since I had an extra lemon left over from making the yogurt cake yesterday. In the end I liked these a lot, they're a perfect accompaniment to a cup of tea. 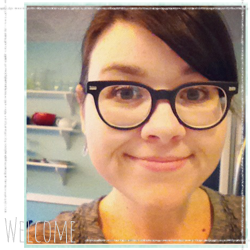 Thanks to Michelle of Flourchild for this week's selection! 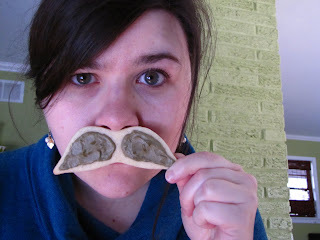 The mustache phenomenon is so 2007 but that didn't prevent me from purchasing this cookie cutter from Bake It Pretty. It's silly and fun and I made three dozen sugar cookies with it. Cookie recipe is Alton Brown's found here and the icing recipe is here. 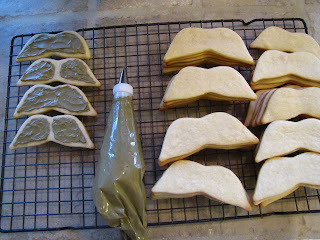 Kind of looks like Grover Cleveland's 'stache right? I have my friend Christiana to thank for this one. 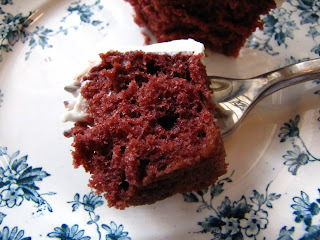 We were at Republic Coffee last Tuesday and she wanted a piece of Red Velvet cake but they were out. 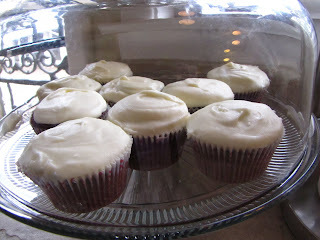 To which I said "I should make a Red Velvet cake" and she said "Why haven't you?!" So I did. I think I vaguely remember making a RVC once before but it was probably waaay back. 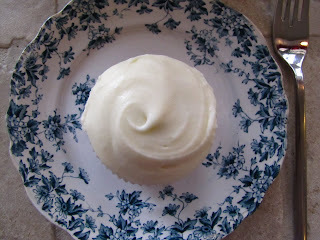 For this one I made cupcakes, using the RVC recipe from the Sweet Melissa book, but halved. 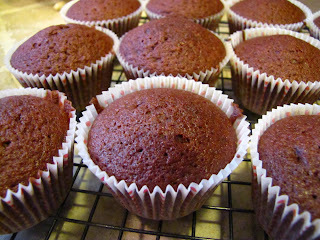 The cupcakes came out well, the last batch got left in the oven a little bit long though and developed an extra crunchy top. I fixed that problem by sawing off the hard top and covering it up with the cream cheese icing. I liked these but I still think they were missing something. I was pondering melting a little semi-sweet chocolate to add, but I don't know how badly that would throw off the red color. 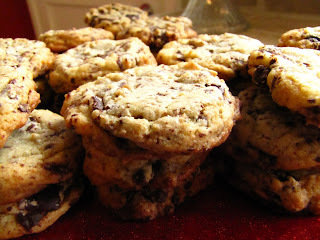 Who doesn't love a chocolate chip cookie? Very few people. 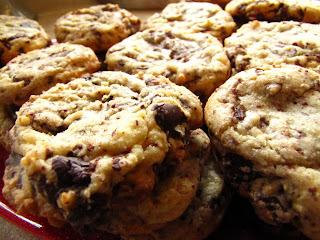 This week's selection was My Best Chocolate Chip Cookies, chosen by Kait of Kait's Plate. I've made these before with espresso powder, they were excellent. The first go-round I learned they spread like mad because of the two sticks of butter. So this time I made them plain, omitting the nuts and lowering the butter content to one and a half sticks instead of two. I like a more cakey cookie anyway and you get that result with a little less butter. 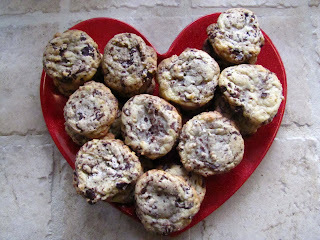 All the hand-chopped chocolate creates that bumpy, tweedy texture Dorie talks about in the book, when you take a bite you don't really know what size piece of chocolate you'll get, there are tiny slivers and bigger chunks and they just add to the charm of the cookie. I know lots of people find Valentine's Day over-commercialized and a made-up holiday and hearts are cheesy, blah, blah, blah. And really my significant other and I have never done anything over the top for each other. But I think anytime you have the opportunity to be sweeter to the important people in your life you should. 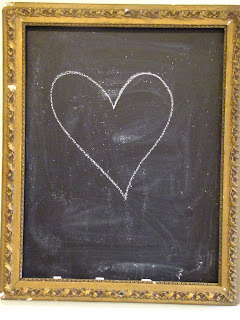 Have some hearts, cheesy or not. I say 'extra sweets' because normally I only do my TWD dessert and we work on eating that all week. However this past week I made three extras. 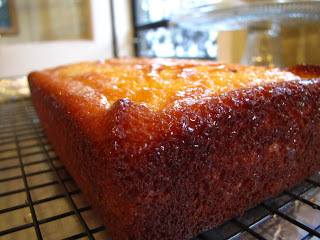 First was the Jam Cake with Brown Sugar Rum Glaze from this book. It's a delicious, moist cake with a giant swirl of jam running throughout. The recipe calls for two cups of jam (any kind) and I used a jar of homemade strawberry jam one of my aunts gave me at Christmas. 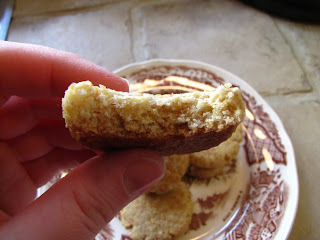 The glaze is cream, brown sugar and butter with a tiny bit of rum added at the end. I loved this cake, I think I might have had some variation of it during my childhood because it tasted very familiar to me. The second thing was Cardamon Crumb Cake from Dorie's Baking book. 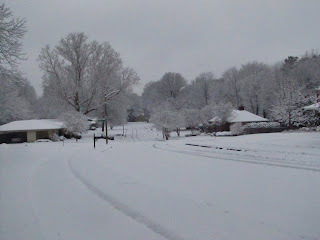 I made it on Monday during out surprise snow day. I'm really surprised no one has chosen this for TWD yet, it's delicious. 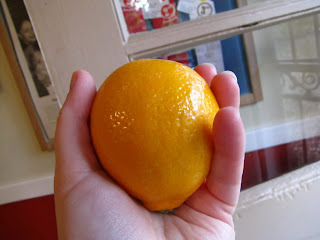 Extremely moist and sweet with citrus flavors as well as a hint of espresso. It would be so good served at a brunch, a keeper for sure. Third, was Orange Scented Scones from the Sweet Melissa Baking Book. 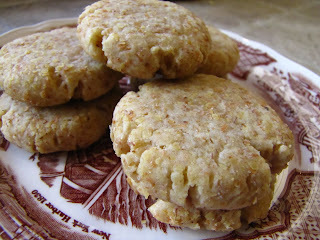 A simple scones recipe was orange zest and ground oats, pretty tasty for a weekend breakfast. So this book got opened again over the weekend. This time the challenge was homemade ravioli. Lots of the food blogs I read have made homemade pasta like it's no big deal so I had to try it, even if it might turn out less than great. The dough came together quickly, mainly I just got sticky hands. The recipe was eggs + water + flour (amazing what you can make with just those three things). Then the dough needed to rest for a bit, wrapped in a damp kitchen towel, while I made the filling. 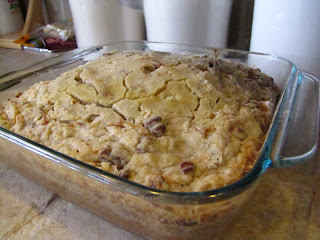 The filling recipe also came from the book, it was ground round, ricotta, onion, garlic, & some spices. The recipe in the book also called for spinach but I omitted it. After the filling was made it needed to cool and I set to work rolling out the dough, and herein lies the workout part. It's hard on your hands and forearms to get that ball of dough down to a manageable size. It took what seemed like ages (in reality probably 15-20 minutes) to flatten it out. 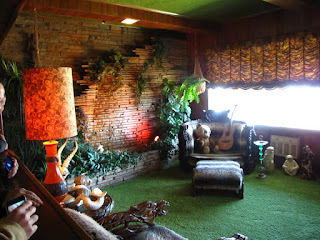 to this. Now it was time to fill it up, which was pretty tricky to get the filling in there without having it ooze out the sides. Once the ravioli was filled and cut into squares it had to set out for 30 minutes to get a good seal and then I popped it in the freezer for about an hour before cooking it. The end result was okay, I made a few mistakes and the dough should have been thinner but okay for a first try I think. Plus I got that great upper body workout. This week's chocolate-y little selection was chosen by Tanya of Chocolatechic. These brownies had just a few basic brownie ingredients but it was the technique of putting the batter together that made them different. Half of the egg/sugar mixture was whipped up separately from the rest of the batter to create a lighter but still very fudgy brownie. These were a hit at the party I shared them at. A simple recipe I'm pretty sure I'll make again. 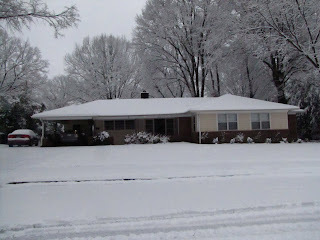 Here in Memphis snow or the threat of snow is 'big doings'. The local news stations trip over themselves to get you the 'most complete coverage' of any impending weather threat. Oddly no one really mentioned the threat of snow yesterday (probably everyone was wrapped up in the Super Bowl) and surprise! 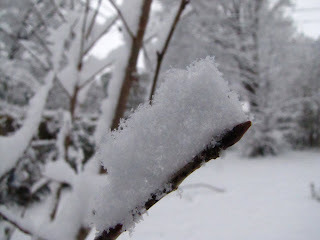 This morning we awoke to a city blanketed in the white stuff. I got ready for work per usual because in the nearly five years I've been at my current job I've never had my boss call and tell me not to come it. 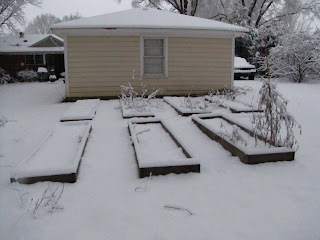 So by 7:30AM I was showered and dressed and padding around the backyard taking pictures before I headed out when Bossman #1 rang and told me we were having a snow day. Craziness I tell you! 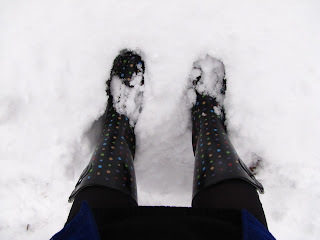 Of course by noon most the snow was melting and it was raining/sleeting. 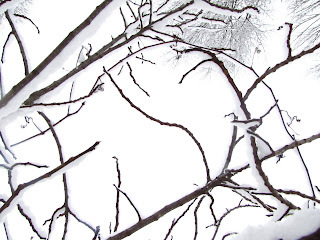 But I very much enjoyed my extra day off, thanks Mr. Bossman #1. 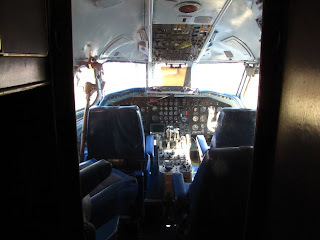 Here are some shots I took before everything started to fall away. I have had this book for almost a year and haven't baked a thing from until this weekend. Everyone has raved about it but I didn't the right equipment so I just put off making anything from. I realized I should just improvise and make something from it, so it did. I made the Olive Oil bread dough and used one portion of it to make Prosciutto & Rosemary Flatbread (also from the book). Except I had some diced pancetta in the fridge instead of prosciutto so that's what I used. The rosemary was from my garden, still hanging on despite the frigid temps and sleet. It turned out really well, it didn't rise as much as I thought it would but other than it came out really nicely. I just used a cookie sheet with a Silpat since I don't have a baking stone (have to get one). The bread was crispy and the rosemary was fragrant and a perfect compliment to the pancetta. The dough makes four portions of bread dough so I have enough for some other projects during the week. There's a recipe in the book for a Neapolitan pizza I might try, as well as a Philadelphia style stromboli. Maybe next week I'll tackle something else from the book, maybe a baguette. Since I made bread it was only fitting I make butter too. Months and months ago before I got my KitchenAid a friend told me about how you could make butter with a standmixer, an idea I filed away for when I got my much lusted for KitchenAid. Fast forward to now, there's not time the present, or in my case, a weekend afternoon. The directions came from here and I used almost an entire quart of heavy whipping cream. There was a lot of waiting for the cream to whip past the whipped cream stage, it took at least 20 minutes for the butter to seize up and try throwing off the buttermilk. Boy was there a lot of buttermilk too. After the buttermilk was poured off I rinsed the butter by kneading it in cold water until the water was clear. It was a ball by then and I stuck back in the mixer to whip some air into it and add some sea salt. It tastes just like butter, although more creamy than store bought. I can really tell it's made from actual cream. A fun and easy project, makes me have lots of respect for those (like my great-grandparents) who churned butter in one of these.